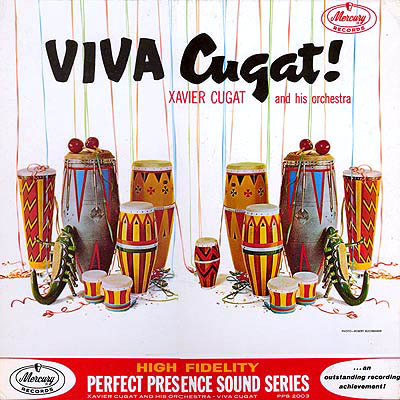 Cover Art: Xavier Cugat and His Orchestra - Viva Cugat! Notes: A disc full of the Latin rhythms Xavier made familiar to us all. Three sessions spread out over three days, each with a slightly different collection of instruments in differing configurations. 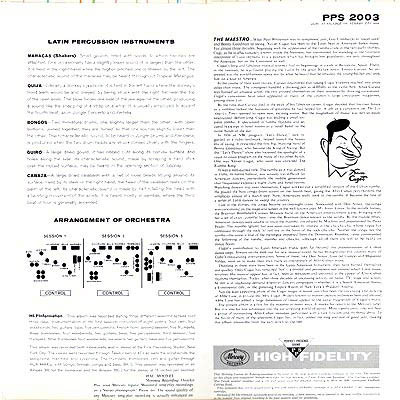 The extensive liner notes actually give us a diagram of the orchestra arrangement for each of the sessions along with a blow-by-blow account of each musical selection. And the artist bio is fascinating. From being discovered playing the violin in Spain by Enrico Caruso to working as a cartoonist for the LA Times and producing caricatures for Life magazine to being the conduit for many of Cuba’s emerging musicians (including Desi Arnaz) the man has many talents. 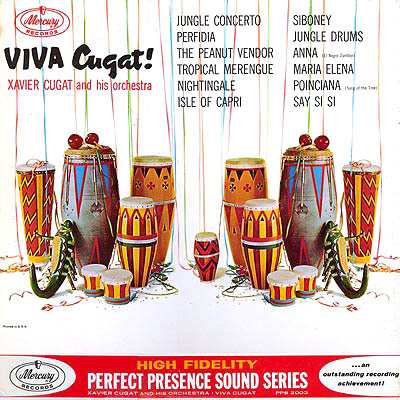 Cugat is also known for his additions to the Latin dance canon. Rhumba king, mambo man or connoisseur of the conga it’s all good and fills you with that heady feeling of hot tropical nights and tall coll drinks. And even if none of the above work had ever existed, just look at that cover will ya? Hang this sucker up over the bar and get down the rum bottle, this is going to be a long night.